It loads the flows of the GigaBlue, Dreambox, Vu, ITgate, Amiko devices and transmits it over the Internet. It provides all the necessary tools and features to control and customize the flow output. Automatically detects the top frames of Enigma 1 and Enigma 2. 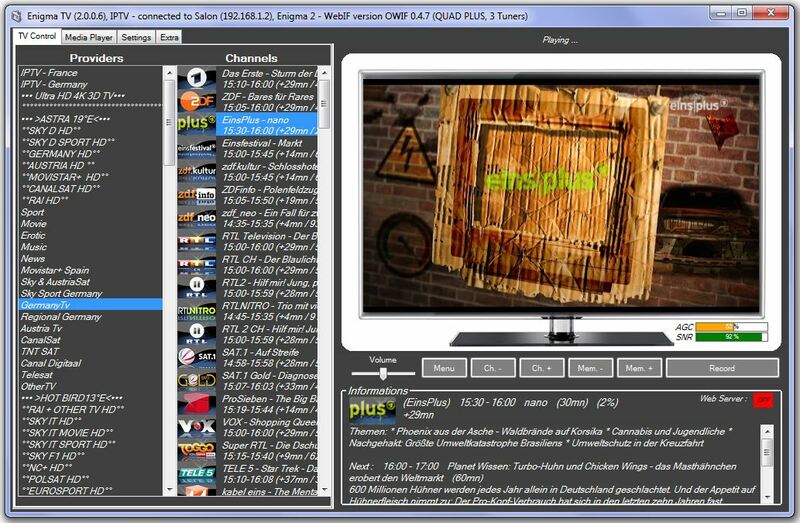 Enigma TV IPTV Generator2.0.1.19. .. This download has been scanned by our own antivirus and it has been determined to be virus free. The program is part of the group of multimedia applications. A program that works on a Windows ™ PC that allows you to transmit your GigaBlue, Dreambox, Vu, ITgate, Amiko (or any Enigma 1 and 2 STB) over the Internet. 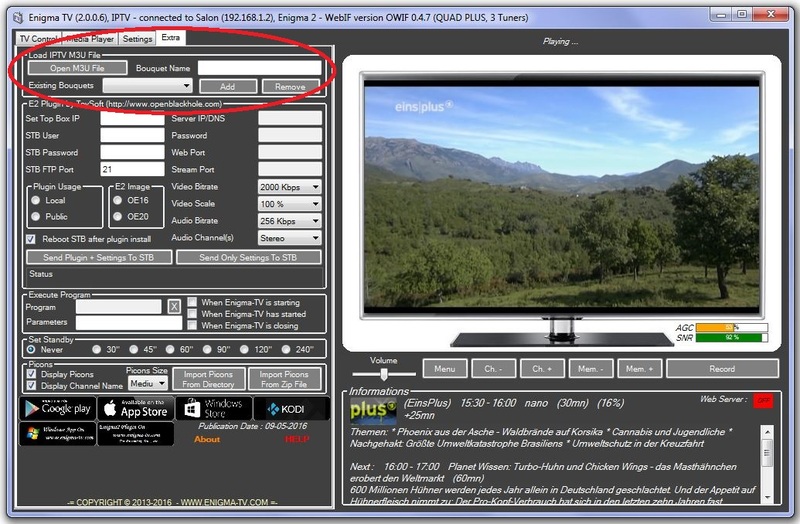 The program can automatically detect the Set Top Box Enigma 1 or Enigma 2 (Dreambox, Vu, etc. ), and has a built-in web interface that can be opened on any device through the Internet (iPhone, iPad, Android phone, Android). tablet, Mac or PC).